Do you know what was The King favorite sandwich is? Bravo for those who knows. 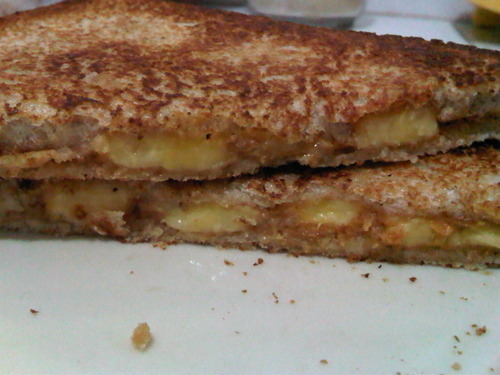 Yup, it was none other than Banana Peanut Butter Sandwich. This is my attempt on making a grilled version..